LTC Frederick L. Spaulding (ret) entered the service in June 1958, spending 9 years as an enlisted man before being commissioned. He retired from service in June 1987. He served as an Abn Ranger, Pathfinder, master Parachutist, Raider/recondo NCO and Special Forces Officer during his career. His superiors consistently called upon him for the toughest of jobs. 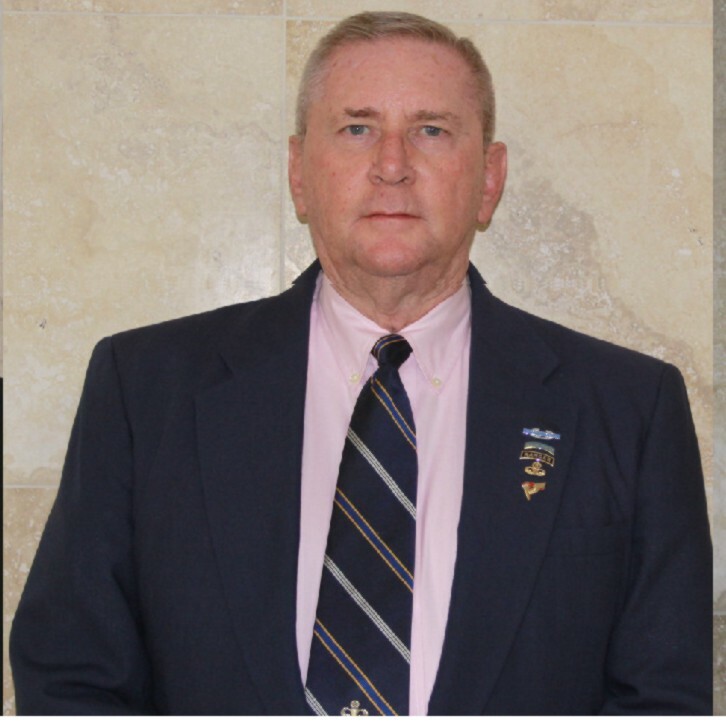 He served in 3 combat areas; Dominican Republic, Korea, and Vietnam: commanded 5 rifle companies, 2 HQ’s companies and 3 Special Forces “A” teams. He was selected for United Nations Honor Guard duty at Eighth Army Headquarters, Seoul, Korea; NCO of the year (1963), for 1st Cav Div. and runner up for Eighth Army NCO of the year. LTC Spaulding has been awarded The Distinguished Service Cross, Silver Star, Distinguished Flying Cross, 2 Bronze Stars w/V, Air Medals w/V, Presidential Unit Citations, Valorous Unit awards, CIB, master Parachutist Wings and Ranger Tab. While serving as an instructor at the 82nd Airborne Div., Raider/Recondo and Abn schools in 1965, then SSG Spaulding was selected among 4 other Rangers in the Bn to be point man across the Duarte Bridge into Santo Domingo leading the 3rd platoon, C company, 2/325th and the 82nd into its first battle since WWII. As an officer in Vietnam, Cpt Spaulding showed his extraordinary willingness to “lead the way” when he was trusted to take charge of the chaotic Firebase Henderson. His outpost was attacked through the night by an NVA sapper company causing multiple KIA and WIA. Firebase Henderson remained under constant mortar and heavy arms fire while Cpt Spaulding called in effective air strikes from the ground and evacuated the wounded. He later returned under fire and recovered all of the KIA. In 1970, Cpt Spaulding was selected to plan and coordinate the battle of Firebase Ripcord in the A Shau Valley, Vietnam. He was responsible for all aircraft in the AO and fire support during the battle with emphasis on the siege (1-23 July 70), as well as the withdrawal of the firebase and 2 rifle companies in the vicinity, all while under heavy fire. During the withdrawal (23 July), three LOH helicopters (OH^A) from which he operated were damaged so badly by enemy fire, that they were each rendered inoperable. The 4th OH6A he used that day was also heavily damaged, but it was flyable to complete his mission of getting all troops out of the AO, opening the way for a massive B52 strike. Spaulding’s disregard for his personal safety while under intense fire is the highest definition of RLTW! 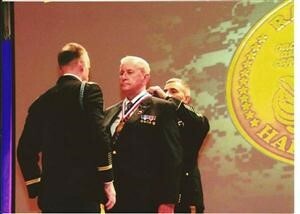 LTC Spaulding, was inducted into the Infantry OCS Hall of Fame March 30, 2007. In 2010 Fred Spaulding was also inducted in as Distinguished members of the Regiment of the 506th inf regiment currahees. Lt. Col. Spaulding entered the service in June of 1958 and spent the next 9 years as an enlisted man before being commissioned. He retired from service in June 1987 as a Lt. Col. Throughout his career he exemplified the finest spirit of the U.S. fighting man as an Airborne Ranger, Pathfinder, Master Parachutist, Raider/Recondo NCO and Special Forces Officer. His superiors consistently called upon him for the toughest of jobs. Equally important to his combat heroics was his mentoring of classmates during the various schools he attended, particularly during OCS. Several Officer Candidates credited him with their success in graduating. 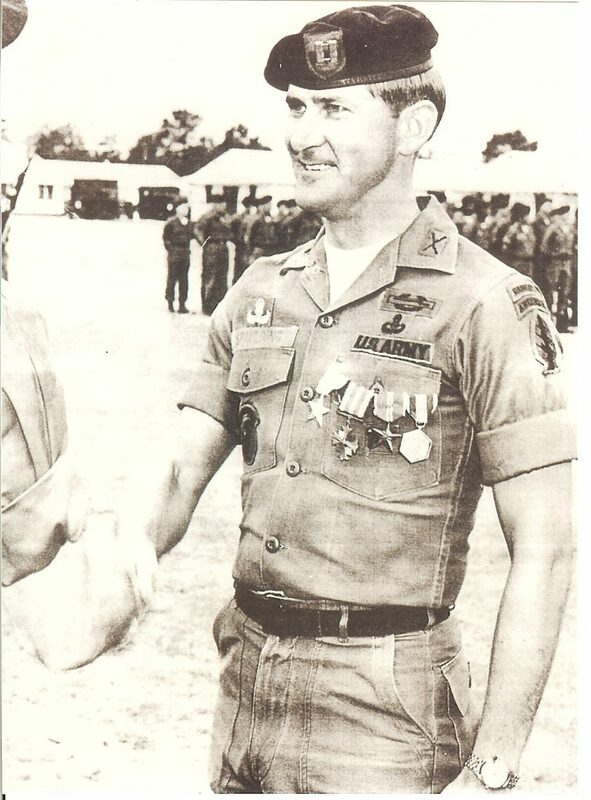 While serving as an instructor at the 82nd Airborne Div., Raider/Recondo, and Airborne Schools in 1965, then SSG Spaulding was selected among 4 other Rangers in the Battalion to be point man across the Duarte Bridge into Santo Domingo leading the 3rd Platoon, C Company, 2/325th and the 82nd Airborne Division into its first battle since WWII. As an Officer in Vietnam, Captain Spaulding showed his extraordinary willingness to “lead the way” when he was trusted to take charge of a chaotic Firebase Henderson which had been attacked during the night by an NVA sapper company causing multiple KIA and WIA. FB Henderson remained under constant mortar and heavy arms fire while Capt. Spaulding on the ground called in effective air strikes and evacuated the wounded. He later returned under fire and recovered all of the KIA. Further, in 1970 Capt. Spaulding was selected to plan and coordinate the battle of Firebase Ripcord in the vicinity of the A Shau valley, I Corp, Vietnam. He was responsible for all aircraft in the AO and fire support during the battle with emphasis on the siege (1-23 July 70), the withdrawal of the firebase and two rifle companies in the vicinity, all while under heavy fire. During the withdrawal (23 July), three LOH helicopters (OH6A) from which he operated were consecutively damaged so badly by enemy fire that they were each rendered inoperable. The fourth OH6A he used that day was also heavily damaged, but it was flyable long enough to complete his mission of getting all troops out of the AO, opening the way for a massive B52 strike. Capt. Spaulding’s disregard for his personal safety, while under intense fire, to accomplish his mission, is in the highest tradition of the credo. “Rangers Lead the Way”. left Camp Evans to provide direct aid to the besieged Fire Support Base and to the two Companies awaiting extraction. He then took command of a Scout helicopter and joined the battle to locate, mark and direct fire from all available land and air assets against enerny positions. While taking intense fire, Captain Spaulding directly exposed himself to enemy fire while marking enemy positions with smoke grenades and coordinating with multiple fire teams resulting in accurate and devastating results. Once the grenades were exhausted, Captain Spaulding fired his sidearm at the enemy until his helicopter was rendered inoperable by the mounting enemy fire. Undaunted, Captain Spaulding and his pilot were able to maneuver the crippled aircraft back to Camp Evans When the pilot refused to continue the mission, Captain Spaulding procured a second helicopter. This second aircraft was subsequently damaged by enemy fire, as was the third helicopter that Spaulding obtained. In a fourth helicopter, Captain Spaulding returned to area of operations to continue the evacuation of the two besieged companies by continuing to draw fire upon himself and the aircraft. Captain Spaulding’s daring acts of bravery and courage in the face of an overwhelming and determined enemy are in keeping with the highest traditions of the military service and reflect great credit upon himself, his unit, and the United States Army.